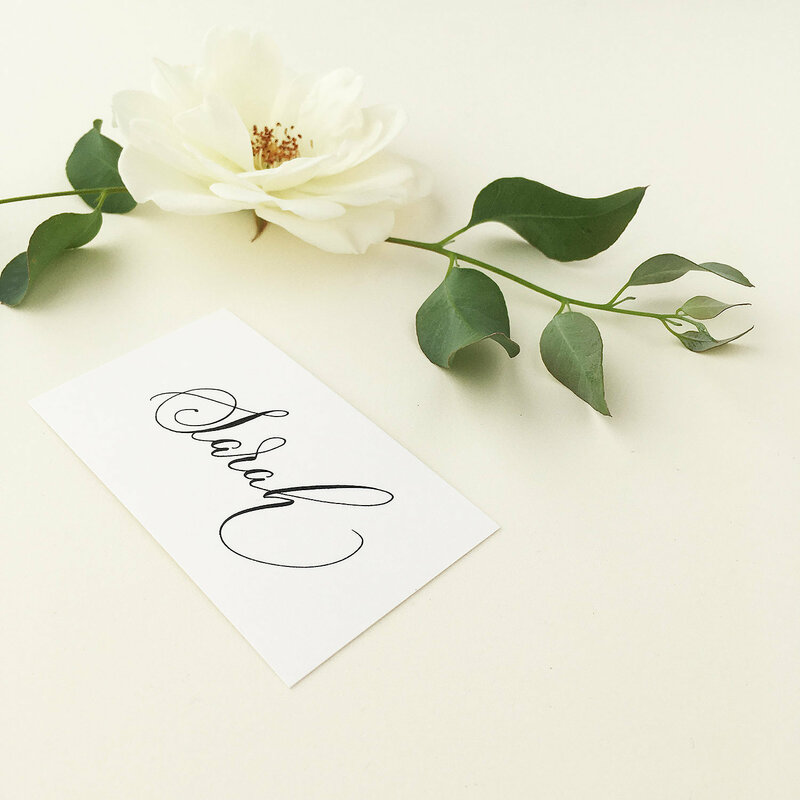 Bring a little flourish to your wedding tables by treating your guests to that special personalised touch they'll instantly want to keep and take home! 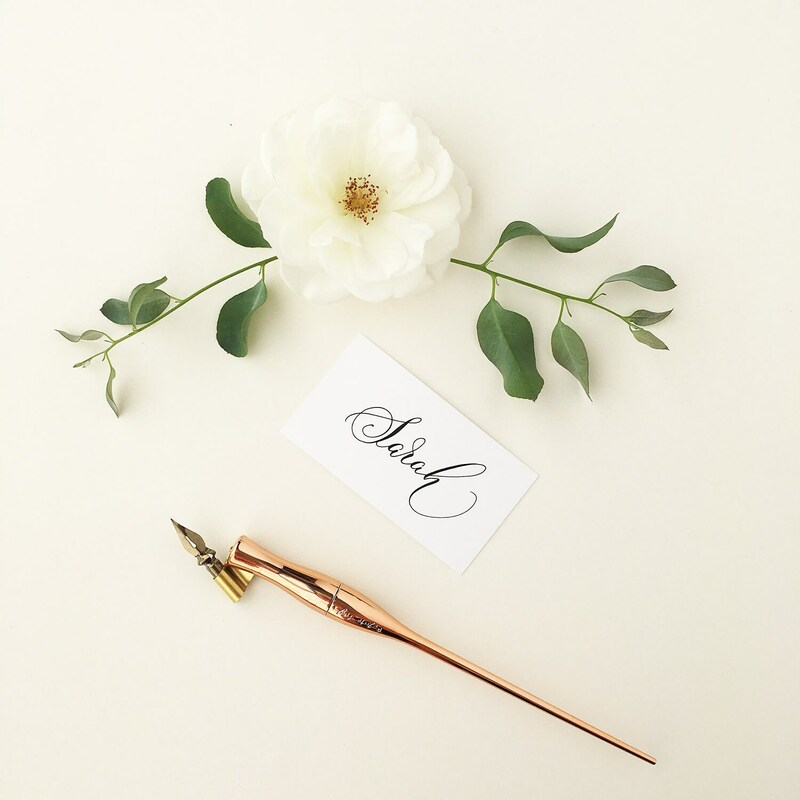 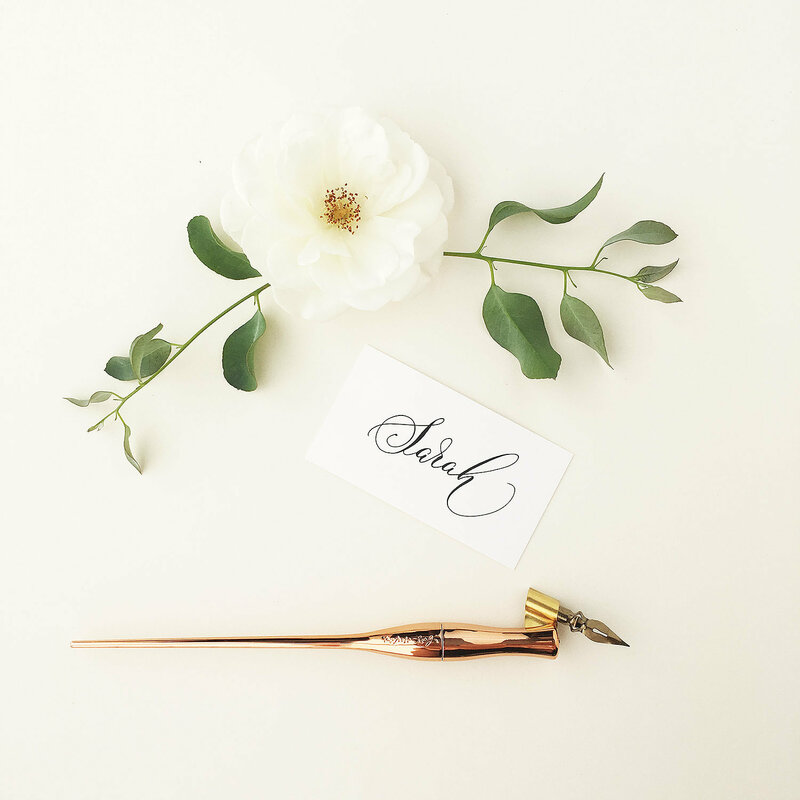 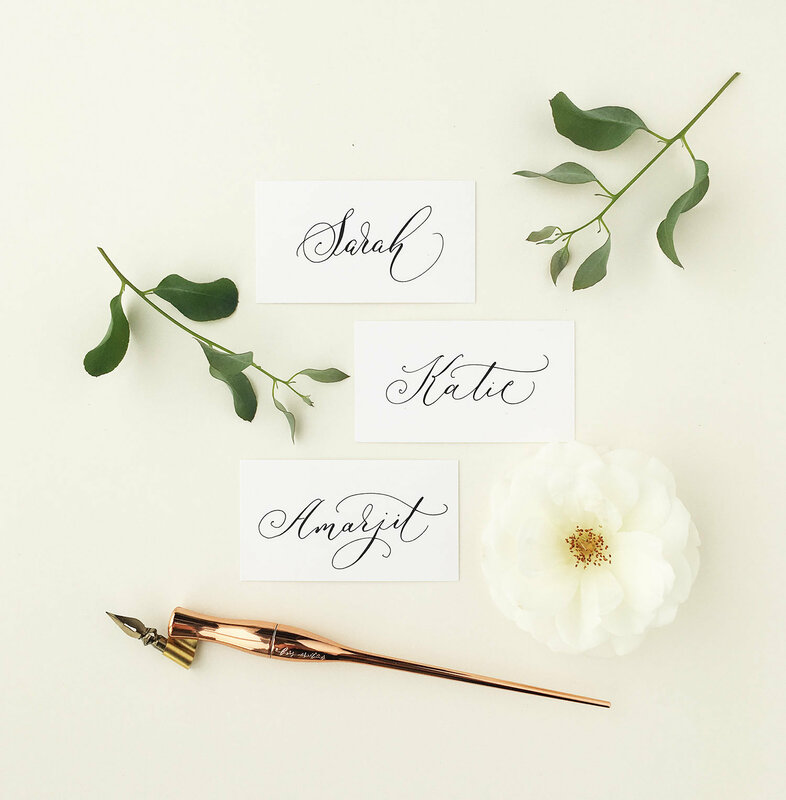 These elegant white place names are written by an experienced, professional calligrapher in beautiful quality black ink, with a traditional dip pen. 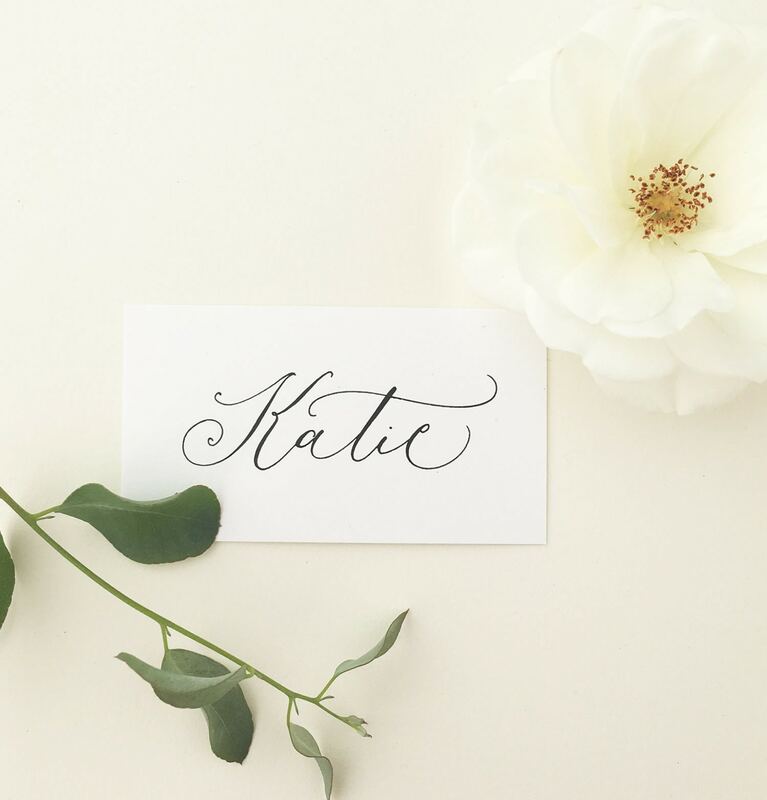 The modern lettering style is perfect for a chic city celebration or a trendy rustic or barn wedding. 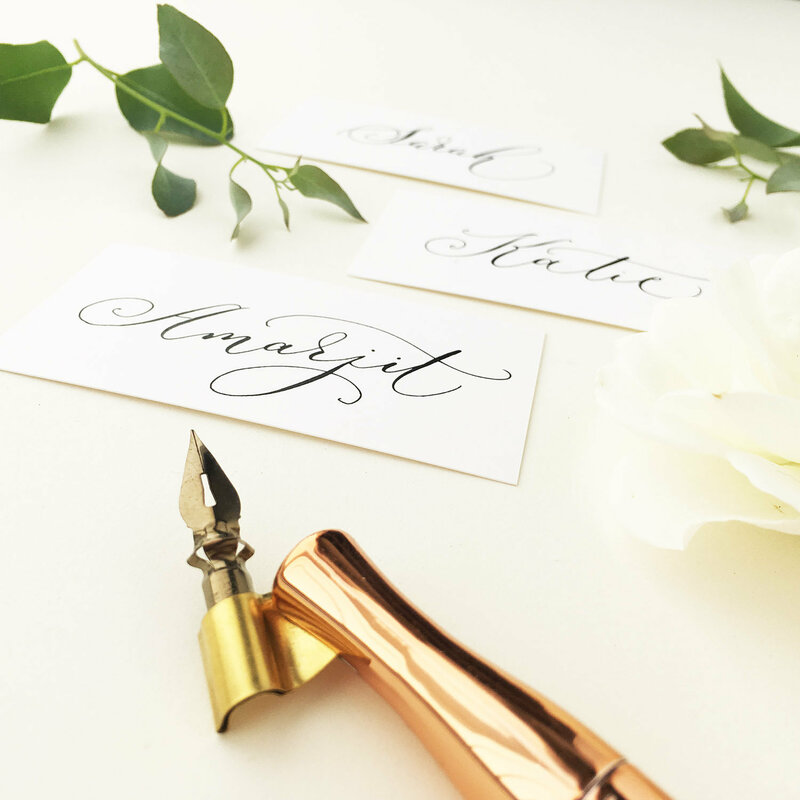 Luxe place name cards measuring 9 x 5cm and in a quality (350gsm) card, will fit either first names or full names on the cards.